The 1st NAEF believes that facilitated dialogue, with local people at the heart of the situation, is essential for building successful cross-cultural understanding and engagement, particularly in a conflict or crisis context. People can learn a lot about the nuances of another culture from active participation in focussed two-way dialogues. We developed our Learning Through Dialogue Initiative (LTDI) to prepare the minds of key personnel due to be deployed to conflict or crisis zones with tailored, fit-for-purpose facilitated dialogues - for proper operational situational awareness and pre-deployment relationship building. On-the-ground participants will also be better equipped in interacting with foreign assistance personnel. What is learning through dialogue? Learning Through Dialogue is an innovative and intensive cross-cultural, facilitated video, dialogue initiative from The 1st NAEF. It is specifically designed to help course participants – particularly military, aid organisation, NGO, and diplomatic personnel – to engage with local populations in global conflict or near-conflict zones, in order to help them successfully perform their duties with confidence. It also benefits on-the-ground participants with greater cross-cultural awareness and understanding. We also work with students and members of civil society to foster better mutual understanding. Our facilitated video dialogues are customised to individual needs, facilitated by experienced trainers, and conducted with carefully selected local participants on-the-ground in places of interest. why was learning through dialogue created? Learning Through Dialogue aims to address avoidable communications failures and gaps resulting from a lack of appropriate cross-cultural awareness and understanding. LTDI will enable course participants to adequately engage with locals and perform their duties with confidence and mutual respect. Collaboration: Working closely with facilitators, domestic and international dialogue partners, and course participants to initiate conversations that matter. Preparedness: Using facilitated dialogues to give participants the confidence, skills and knowledge necessary to communicate and engage effectively with others in conflict, near-conflict, and crisis zones. Openness: Fostering open, honest and safe exchanges amongst participants of different cultures. We understand and address cross-cultural communication challenges and success factors. We aim to prepare the minds of key personnel due to be deployed to conflict, near-conflict or crisis zones – as well as members of civil society and university students – by promoting mutual understanding among cultures and fostering greater cross-cultural engagement. Facilitated video dialogues to prepare the minds of key personnel in conflict and crisis zones. A customised multi-session program of facilitated cross-cultural video dialogues, with carefully selected participants on-the-ground in target locations. Bespoke country engagement reports highlighting key findings from dialogues. Academic research studies into cross-cultural engagement for peace-building, disaster recovery, and stability operations. Learning Through Dialogue is the only cross-cultural learning initiative which offers a customised, comprehensive, true-life, interactive, and potentially life-saving program. Quality of facilitators. Our facilitators are experienced trainers who have worked in military, security, defense, civilian, stability, and humanitarian aid operations. We are not academics or risk consultants teaching theory. Quality of participants. We can access insightful and knowledgeable on-the-ground participants because we have well-established international networks in place. The utilisation of video communications technology gives us a broader reach than face-to-face dialogues. Others use expats who may have lost touch with their mother country. Quality of insights. Our programs are tailored to individual requirements, resulting in focused dialogues that generate highly relevant and current insights. Others use the same curriculum and generate static information. Quality of real-world applications. We are focussed on strengthening cross-cultural communication skills, competency, and knowledge in participants to support operational situational awareness and pre-deployment relationship building in a practical way. Others are mainly focussed on enhancing intercultural understanding. The sessions gave the military cadets the opportunity to understand conflict, civic life and peace-building in a post-conflict zone (Kurdistan Region of Iraq) before completing their training. The dialogues also gave Kurdish students the opportunity to engage with US military cadets, and to gain an understanding and appreciation of the human aspects of the US military. We brought together members of two very similar cultures and areas recovering from long-term conflict. Local and national populations: They gain valuable insights and effective communication skills for engaging with foreign assistance personnel across international civilian and military organisations. Members of international organizations, such as NATO and the UN: They gain an in-depth understanding of different cultures, and the real-life experiences and expectations of the local population, without needing to be on-the-ground. Enrollees in military academies and cadet programs: They develop stronger cross-cultural understanding and awareness before being assigned to their permanent military units. Diplomats, soldiers, peace-keepers, police, first responders (fire, ambulance, search-and-rescue, earthquake recovery), aid workers, and NGO staff due to be deployed to conflict, near conflict and crisis zones. 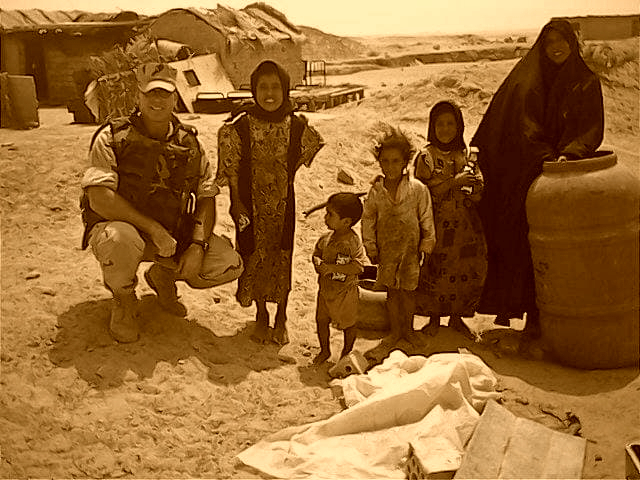 They gain adequate cross-cultural communication skills, competency, and local knowledge to help them anticipate and address challenges, engage with the local population, and successfully perform their duties while deployed. Members of civil society: They gain realistic cross-cultural understanding and increased global social cohesion. University students: They gain an enhanced understanding of peer groups in other cultures. Our dialogues give participants the confidence, knowledge, and ability to successfully perform their duties on-the-ground in conflict zones, regardless of profession – whether they are soldiers, peacekeepers, doctors, aid workers, diplomats, NGO staff, or civilian support staff. Local and national populations are also key beneficiaries. Whitman is responsible for dialogue partnerships, network and relationship building, marketing, and business development. Whitman is an international public relations and communications consultant, with in-country experience in media, education, the energy industry, international trade and development, and corporate social responsibility in North America, Europe and the Middle East. He has worked on research projects assessing the potential social impact of energy projects in Iraq. Additionally, he worked in humanitarian aid, for youth empowerment projects and consulted the local government in the region. Whitman holds a Masters degree in Advanced International Studies from the renowned Diplomatic Academy of Vienna. Ian is responsible for military and defense industry liaison for the program. Ian has 20 years’ experience in defense, security and critical infrastructure protection, from serving in the armed forces and from working with leading defense and security bodies and agencies. He has also worked on numerous humanitarian and stability operations projects internationally. He founded The 1st NAEF to bridge gaps in 21st century humanitarian response and stability operations, and formed VSERT to address crucial gaps relating to global and national energy security.